My lovely friend is dealing with some heavy stuff right now. So, I'm joining some friends to "love bomb" her today to show her how much we love and care for her. 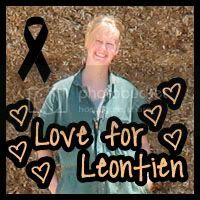 Check out the Love for Leontien Facebook page and leave a note. Leontien loves her dairy cows. Leontien loves Calvin and Hobbes, chocolate and books. There's one more thing that I know she loves...well at least loves to look at. Leontien, if you need more "pick-me-ups" let me know! Girl you make me blush! Yes these pic me up's sure will do!!! But all the other post are amazing too and this "love bombing" is just fantastic!